German pharmaceutical giant Bayer AG has agreed to the U.S. government's demand that it sell about $9 billion in agriculture businesses as condition for acquiring Monsanto Co., a U.S. seed and weed-killer maker. Bayer's $57 billion takeover of Monsanto has been watched by competitors and environmental groups, which are fearful that the number of players in the business of selling seeds and pesticides will shrink further and give a single company an exclusive grip on the food chain. Monsanto, based in St. Louis, is one of the world's biggest seed companies. The merger would make Bayer the largest supplier in the world of pesticides and seeds for farmers. In March, the European Union approved the merger on condition that Bayer sell $7.4 billion in assets to BASF to eliminate overlaps in seed and pesticide markets. The U.S. Justice Department said after the European action that it continued to have concerns over the proposed merger, especially its potential impact on American farmers and consumers, which could differ from its effects in Europe. Genetically modified seeds, for example, are used widely in the U.S. but mostly banned in Europe. 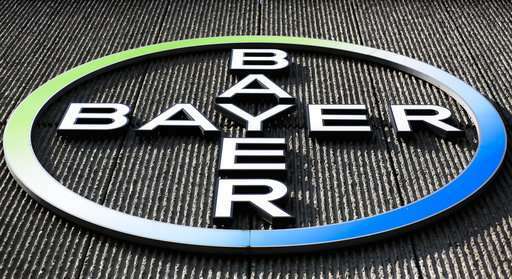 "Receipt of the (Justice Department's) approval brings us close to our goal of creating a leading company in agriculture," Bayer CEO Werner Baumann said in a statement. "We want to help farmers across the world grow more nutritious food in a more sustainable way." Two big mergers last year already have reshaped the global seed and pesticide market: Dow Chemical's combination with DuPont last year, and China National Chemical Corp.'s acquisition of Syngenta, a Swiss seed and pesticide maker.